Regular temp file deletion is very important for any PC. We all know that Windows PC regularly create temporary files. Temp files are completely useless files and produced automatically during PC operation. Though PC creates such files very frequently it is very important to delete those files time to time. As junk of temp files in PC occupy disk space and affect the PC health and speed. 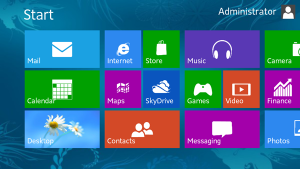 Below is the video tutorial to know how to delete temp files from Windows 8 PC. Though it is my first video kindly excuse for typos and other minor mistakes. What is Samsung SBikeMode and How to use it on Galaxy J3, J5 and J7? I have been catching up with Windows 8 lately and coming from XP world, it’s not easy to latch onto this whole new experience. Thank you for sharing these tips. Hey, nice video and I have a windows 8 laptop and really I’ve no idea about how to delete the temp files in windows 8, So thanks for sharing and keep blogging. Hi Chirag, Thanks for your valuable feedback. Don’t forget to like that video on Youtube. Nice post! I am very much interested in the theme you are using for your blog. What is the theme that you use on Dreamtechie? Thanks @Sahith for your feedback on post and site theme.